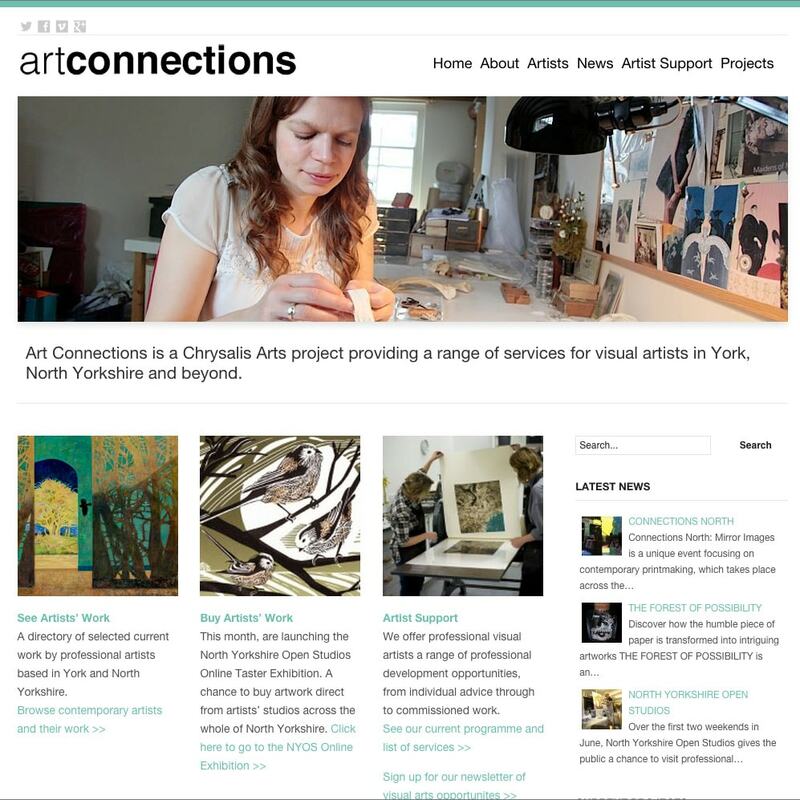 Art Connections is a Chrysalis Arts project that provides a range of services for visual artists in York, North Yorkshire and beyond. This well established and popular website had been going for many years. Media Vision rebuilt the site from scratch with an integrated content management system. 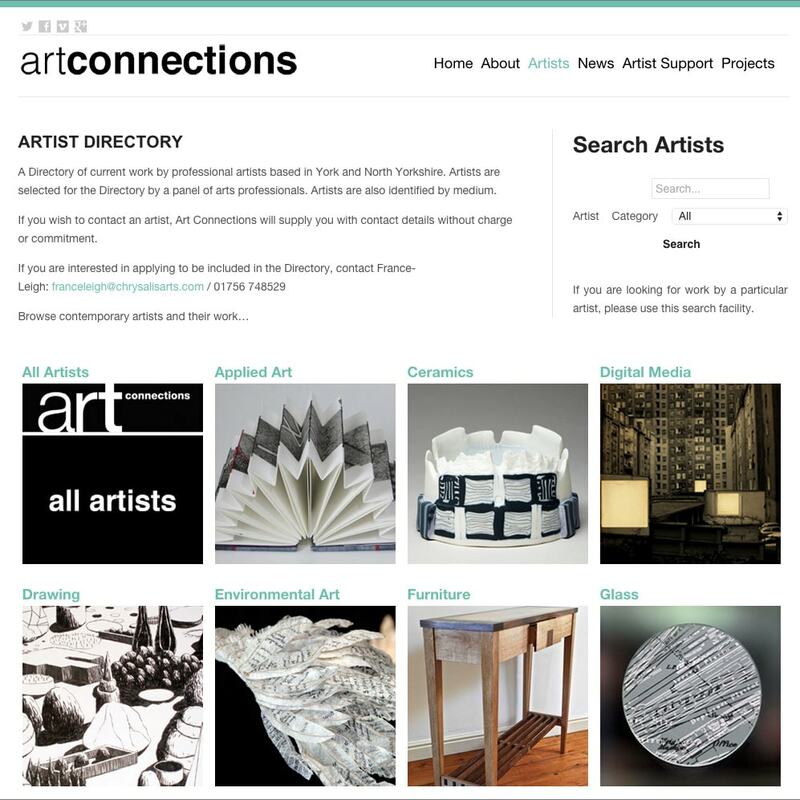 The core of the website is a large searchable database of artists arranged by artistic discipline. The site is responsive so it works well on all devices. 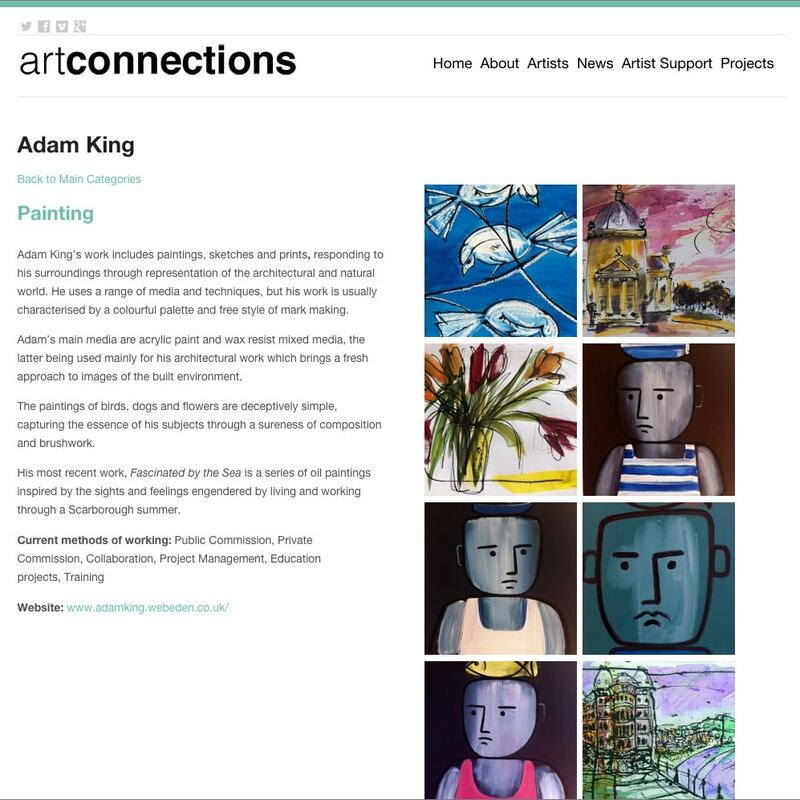 The site also has a shop, allowing the sale of artworks online.